Many customers say, “How did you become a wheel builder?” That’s easy”, I reply, as I have often been told that: “You are not a motorcycle mechanic if you cannot build a wheel”. However, I suspect that a lot of today’s motorcycle mechanics would disagree and not even be aware of the wheel builder’s craft. It is not so much teaching someone how to build a wheel, rather than first establishing who is the intended wheel builder, as I do believe that the skill is passed down through the genes. In my case, it was not only in the genes but I was fortunate to have had a lot of capable mentors. 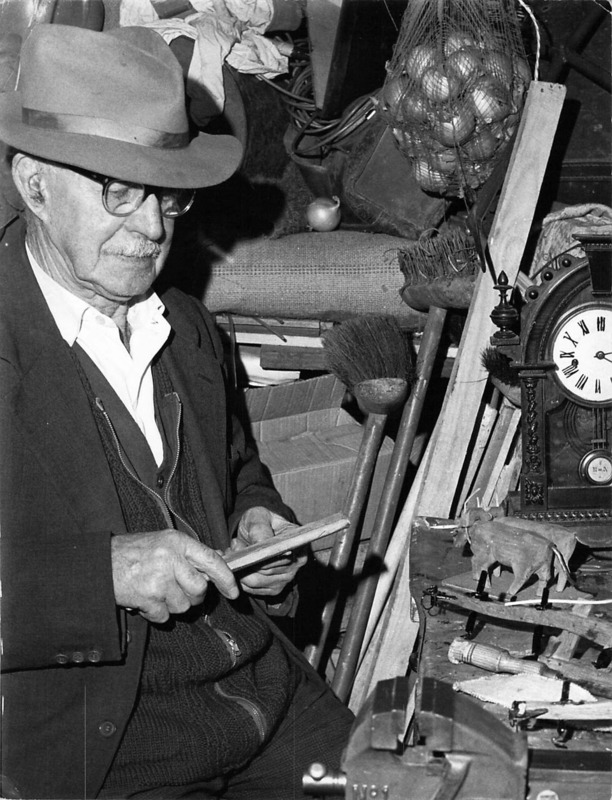 My Grandfather, Albert Catt, locally known as Pop’ to all and sundry, was blacksmith, wheelwright and general engineer, working in the forge at Sedlescombe and my mother was born at the Wheelwright’s Cottage. It was my Grandad ‘Pop’ who encouraged me to learn a trade and, as a youngster at school, I would spend my weekends working on a farm estate. My first mentor was the ‘Woodsman’ at the farm, Bill Steel, who taught me to both use and respect machinery and, whilst nobody was looking, he taught me how to do a bit of poaching, catching the odd pheasant or two for the family pot. I learned how to drive the ‘Grey Fergie’ tractor fitted with a flail, which was three large rotating chains protected by only a steel cover, and how to use a chain saw. The tractor had no roll bar and the chainsaw had no chain guard which nowadays would cause the Health and Safety man to throw a fit. On leaving school I became an apprentice plumber, working for W.S.Lowdell Heating, run by Bill and Arthur Lowdell and their philosophy was that if a job was better for taking two more hours, then so be it, as it had to be right. Bill also had a thing about the ‘right tool for the job’ for, whilst travelling to a customer on one occasion, he made Arthur turn round in Dorking and drive back to Horsham, as he had the wrong saw blades for the task. During this time, George Wheallan came into my life when I visited the forge in Partridge Green where he ran his business repairing mowers and assorted horticultural machinery. George was a ‘larger than life’ character and was someone to whom you could take all your problems, as he would listen, whatever the issue. It may be parents, girls or motorcycles and he would talk through the problem with you and, whilst never being judgmental, I always found his thoughts to be fair, which he expressed sat there in his bib and brace overalls, surrounded by machinery. 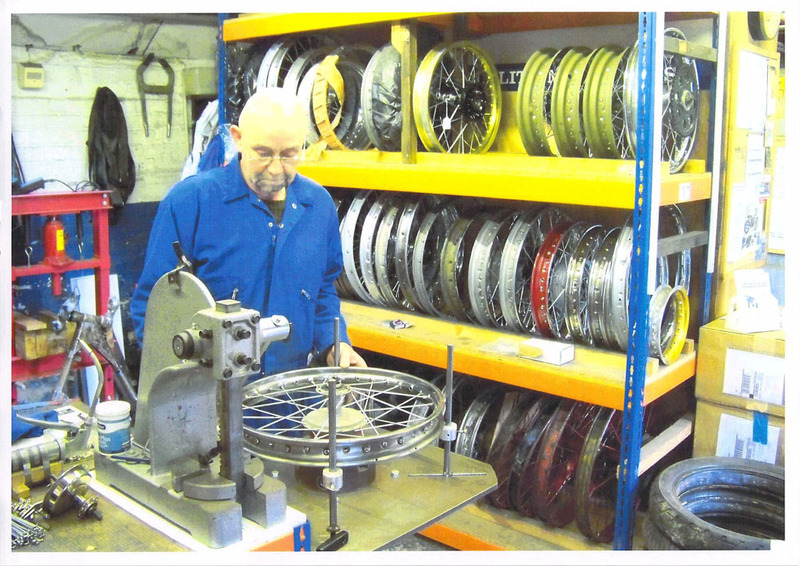 Around the age of twenty, I moved from plumbing and heating into the motorcycle trade and this brings me to a gentleman who had a profound effect on my life, for it was Mr. Sidney Bird who introduced me to the art of wheel building. Now Sid, or ‘Birdy’ as he was known, had seriously disabled legs and would work squatting on the floor and due to his condition, he had developed powerful upper body strength. He was a strong character, not to be ‘messed with’, and I have seen him throw a tradesman’s bicycle across the cycle workshop because it had annoyed him. He needed crutches to move around and he drove a little blue AC Petite invalid car, which always came in for criticism, even after a service, because it was so slow. However, once ‘fettled’ by himself, the power output was transformed and he became a happy man although it was never quite as fast as an AC Cobra! He was also a gifted wheel builder and his skills were passed on to me. I will never forget his words concerning wheel building when he said : “I will show you how to do it but you will still be learning the art when they screw the lid down on your coffin” and he was right. My first attempt took me a frustrating day and a half and, in the end, I had to turn to Sid to finish it for me. 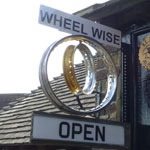 So with the latent skill in my genes and tutelage from my mentors, ‘Pop’, the two Bills, Arthur, George and Mr. Bird, I have applied the work ethic and skills learned in those early years to develop Wheelwise Engineering, my specialist wheel building workshop which I operate in Cowfold today. There is an old saying: “What goes around, comes around…. My Grandad ‘Pop’ was a wheelwright in his Sedlescombe Forge, and my premises today are an old forge where the traditional skills are kept alive.